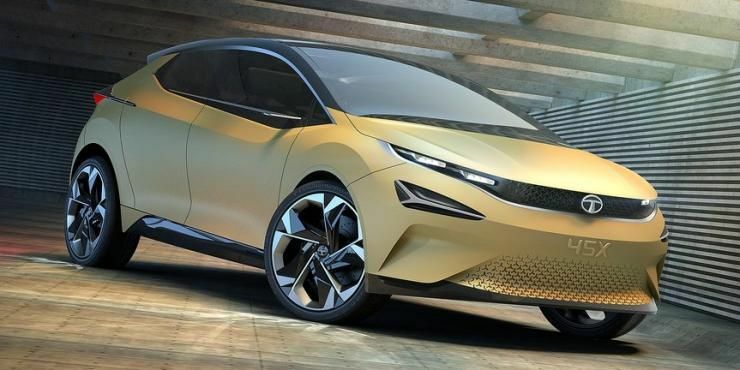 Tata Motors will launch a new premium hatchback next year. It is codenamed the 45X and its concept version was showcased at the Auto Expo 2018. Now, a render showing what the production version of the 45X concept will look like has surfaced. Here it is. 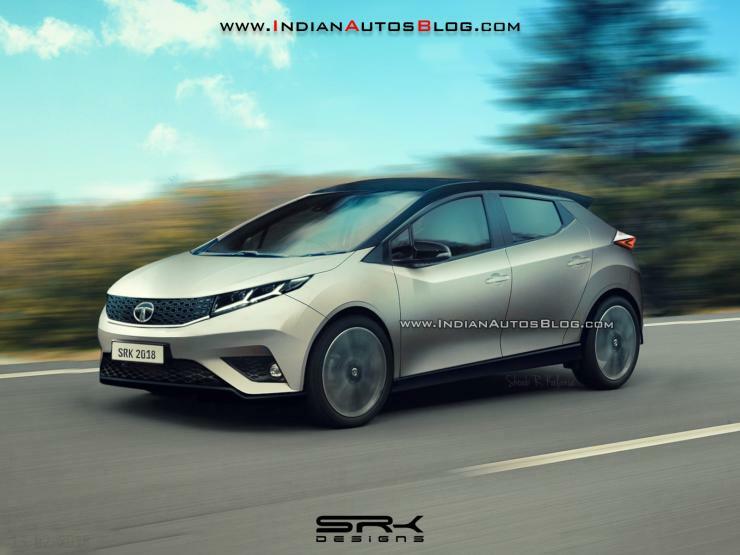 The render indicates that the 45X premium hatchback will retain the shape that the concept features but will have many changes to make it cost effective so that Tata can keep an entry price of around Rs. 5 lakhs for the car. Some changes include smaller wheels, conventional wing mirrors and revised body work including the front and rear bumpers. The 45X concept’s production version will also have revised interiors. The four seat layout will be replaced by a 2+3 seat layout and the car will also have a more realistic instrument console, steering wheel and dashboard. The car will also be shortened to sit under 4 meters in length as it would otherwise miss out on excise duty benefits. The 45X uses Tata Motors’ latest design philosophy called Impact 2.0, and this will make the car a very good looker as Tata has combined sharp edges with sweeping lines and curves. The 45X will be based on the Advanced Modular Platform (AMP). It will be the first car to use the AMP architecture, which involves extensive parts and production facility sharing. Talking of sharing, the car will use petrol and diesel engines borrowed from the Tiago but with significant changes to outputs. The 45X’s petrol and diesel engines will use variable geometry turbochargers to boost outputs. The car is expected to be offered with manual gearboxes at launch, with a twin clutch automatic joining the range at a later time frame. It will have multiple driving modes – city, sport and eco, and will also offer a lot of features. Tata H5X SUV unveiled at Auto Expo 2018; Hyundai Creta beware! Tata’s Maruti Baleno & Hyundai i20 challenging premium hatchback, in 4 renders!